Patrick J. Lucey was born in La Crosse on March 21, 1918, to Ferryville parents, Gregory C. and Ella McNamara Lucey. He was educated at Campion Academy, College of St. Thomas, and the University of Wisconsin. Lucey served in the U.S. Army during World War II and earned a bachelor's degree in 1946 from the University of Wisconsin. Lucey began his political career while managing his father's many businesses and agricultural interests in and around Ferryville. In 1947, Lucey was elected to the Ferryville School Board and became the local justice of the peace. The next year he won the Crawford County Assembly seat in an upset over State Assembly Speaker Donald McDowell. Lucey lost his bid for the U.S. Congress in 1950, after which he joined with other progressives to rebuild the state’s Democratic Party. In 1951, Lucey married Jean Vlasis of Milwaukee. 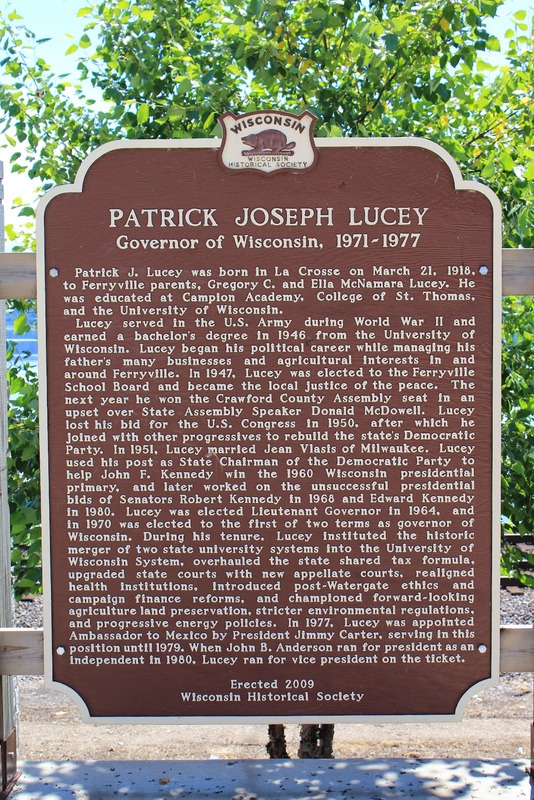 Lucey used his post as State Chairman of the Democratic Party to help John F. Kennedy win the 1960 Wisconsin presidential primary, and later worked on the unsuccessful presidential bids of Senators Robert Kennedy in 1968 and Edward Kennedy in 1980. Lucey was elected Lieutenant Governor in 1964, and in 1970 was elected to the first of two terms as governor of Wisconsin. During his tenure, Lucey instituted the historic merger of two state university systems into the University of Wisconsin system, overhauled the state shared tax formula, upgraded state courts with new appellate courts, realigned health institutions, introduced post-Watergate ethics and campaign finance reforms, and championed forward-looking agriculture land preservation, stricter environmental regulations, and progressive energy policies. In 1977, Lucey was appointed Ambassador to Mexico by President Jimmy Carter, serving in this position until 1979. When John B. Anderson ran for president as an independent in 1980, Lucey ran for vice president on the ticket. 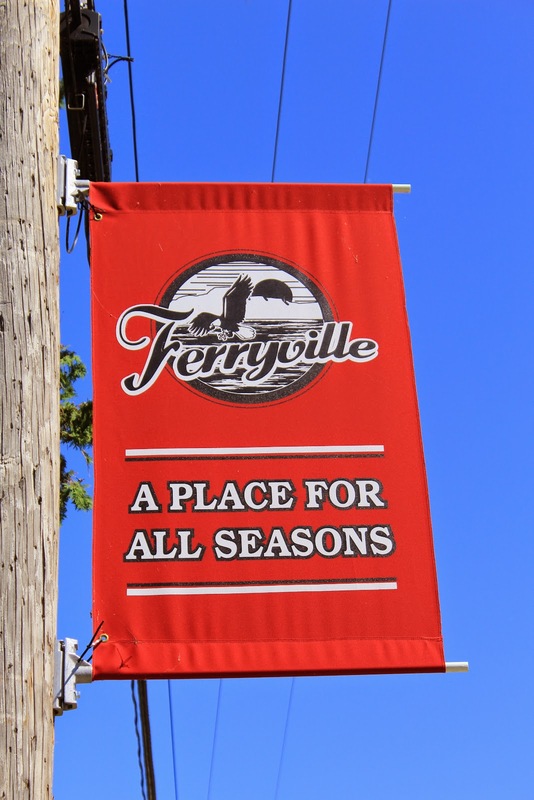 The marker is located on Main Street (State Highway 35 / Great River Road) near Hickory Street, at an observation deck that overlooks the Mississippi River, Ferryville Wisconsin 54628. See also, Governor Patrick Lucey Highway, a related marker at a nearby location. View of the Mississippi River from marker location.